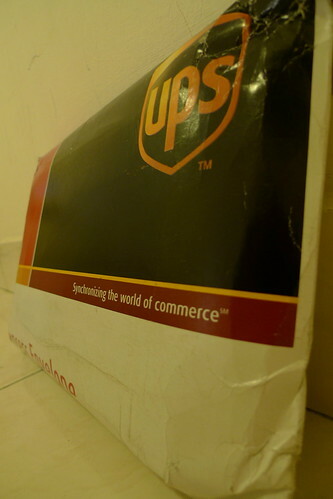 I got an InfoNotice from UPS at the door of my apartment on the 20th April 2010. The package states that this comes from the USA. 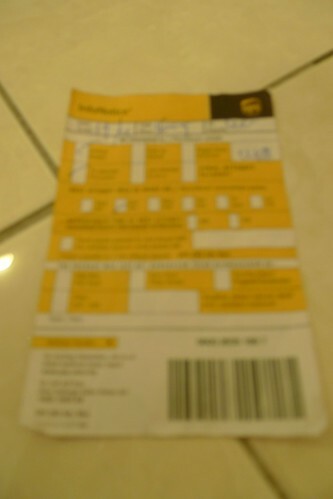 I traced the package at UPS site and saw that the package was from Las Vegas and it took only 1 week to get here. Surely, I thought, it must be an important package. The next day I called UPS about the package. A polite lady answered my call and said that the package will be sent again to my apartment in the evening. So I asked her if they could send it to my office instead, and they said yes, so I gave her the address. Lastly I asked if her if she could tell who it was from, they said it was from Zappos.com. So I think to myself, it can't be. 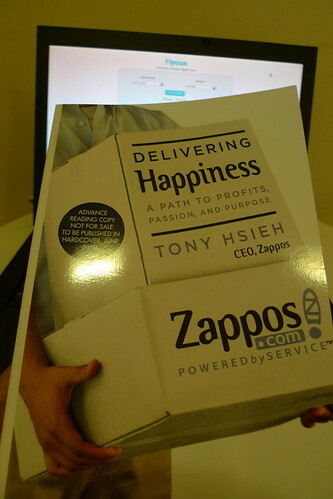 I really wanted the book Delivering Happiness, and I couldn't wait till the book launch on 7th June 2010. So I tried to sign up for a free book as a blogger. When the package arrived that afternoon, I got not one Delivering Happiness but two for FREE!